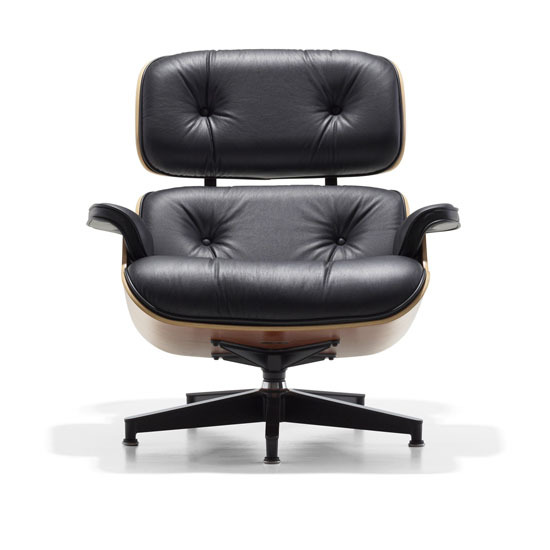 Since its initial design by Charles and Ray Eames in 1956, the Eames Lounge Chair and Ottoman set has risen to fame as one of the most iconic and timeless furniture designs of the 20th century. 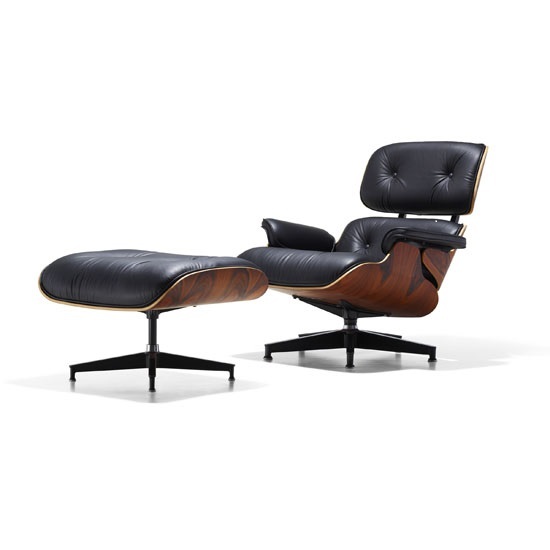 The original design concept for the Eames Lounge Chair and Ottoman involved merging the basic composition of an English club chair with, in Charles Eames words, the warm, receptive look of a well-used first basemans mitt. The Eames Chair has been featured in museums and magazines for decades, yet upholds its essential and humble mission of providing superior comfort, support, and ease for every mind and body. 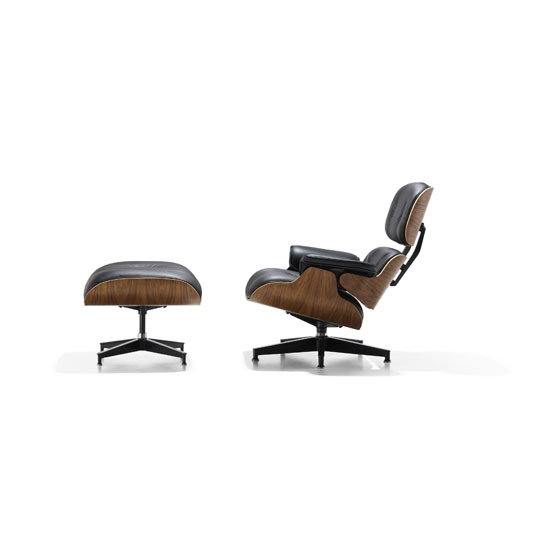 The Eames Chair and Ottoman suit any type of living space and design style and will quickly become the most coveted spot for work, relaxation, or rejuvenation. Available in black leather with a walnut base. 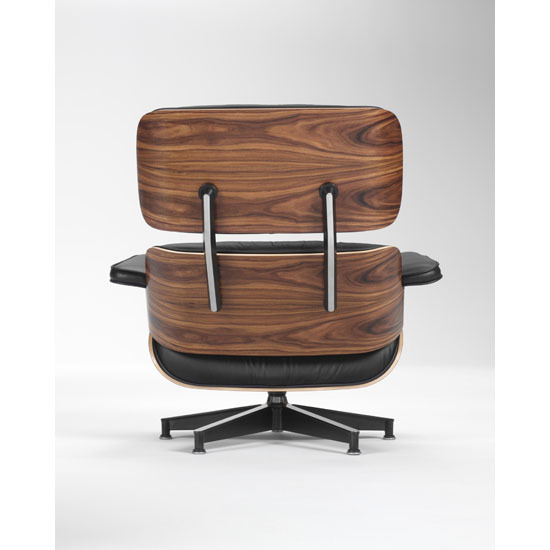 Size: L 32"W 34"H 20"
Available for special order in a variety of leather colors and wood veneers. May also special order in a tall size.